My name is Marya, I’m 19 and I come from Palma de Mallorca, Spain. I’m in Sweden because an Erasmus traineeship related on Social Integration. And I’m staying here for 3 months so I hope I can learn and enjoy as much as I can. On my pasts 3 years I graduated in performing arts because I wanted to do something different and I wanted to burst my creative side. After that I realized that my aim in life is helping others in a more personal way so I entered studying Social Integration. The foreign countries have always called my attention and luckily English has been a language that I liked since I was little so here I have the great opportunity to improve it. A side all this I’m a very humble and curious person, I like knowing other cultures, new people and listening to their live stories. I love any kind of music, arts in general and I sing. I’m empathetic too, I do care about what happens to the world, I like sharing with others thoughts and experiences, because there’s where you understand more about live and yourself. At last I enjoy thinking in new ways to evolve as humans in our society. That explains why in a future I would like to study psychology. I’m waiting to see what I can offer to you! Hello, my name is Sebastian and I’m nineteen years old. I’m from Mallorca, Spain. I have a levels in humanistic and socials studies and I’m currently studing a advanced degree in Social, Cultural and Touristic Animation. I’m looking forward to work as part of a team. I have good skills in social abilities like active listening and team working, which could be useful to you. Apart from that, I am very flexible and kind person. 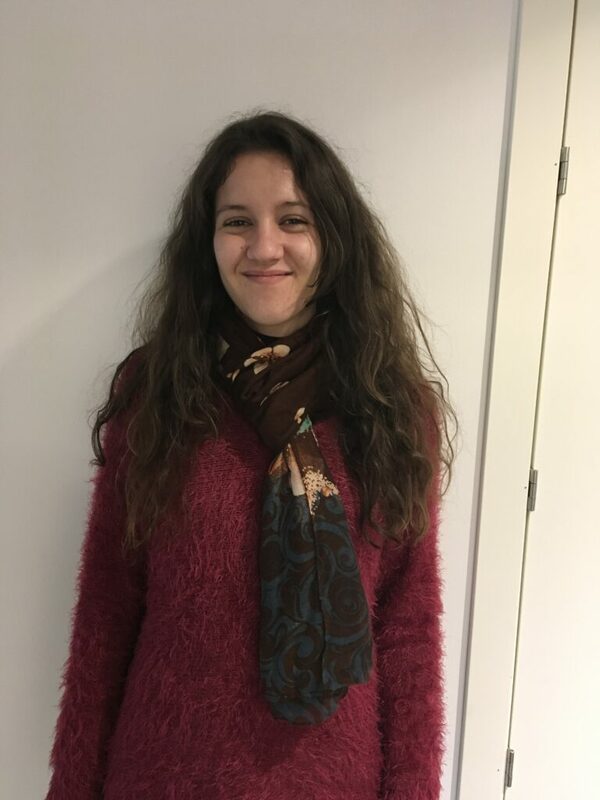 I have always planned to spend some time abroad during my studies to develop my professional skills and exchange ideas with different people from all over the world to better understand cross-cultural differences and improve my communicative skills. Here are egalitarian in nature, humble and find boasting absolutely unacceptable. In many ways, prefer to listen to others as opposed to ensuring that their own voice is heard. When they are speaking they speaks softly and calmly. I hope to help IFall in all their projects. Hello, my name is Sergio, and I’m 18 years old and I’m from Gandia/Valencia. I’m here for the Erasmus + program. I have chosen Sweden because I like the cold and it seems to me a very interesting place. I also want to know new cultures and traditions all over the world, and Sweden seemed curious to me. With the 2 days I’ve been here, I find a very nice and green place and in Örkelljunga there are very kind people. I consider myself a responsible and organized person with my work, and I like to help people who need it. I study IT (Information Technology). In Spain, I work as videoclip director. Therefore. I can help you with anything related to previously. My name is Nayma, I´m 28 and I come from Spain. I´m studying Junior Administrative Assistant. I come to Sweden because It´s a amazing country. 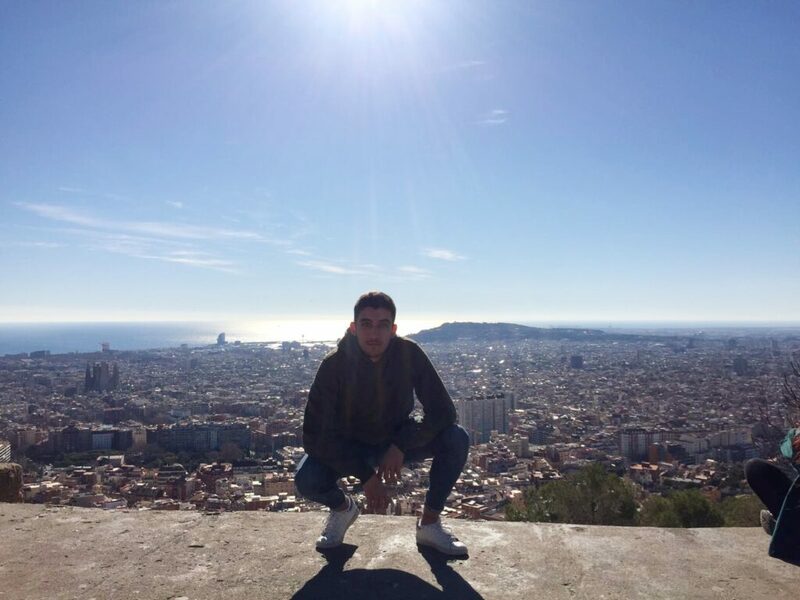 I´m a very energetic person; I like playing sports a lot, specially basketball, I was a professional player when I was young, I like playing football too, actually I like to play different sports like paddel ,tennis, Valencian Ball or Volleyball in my free times. 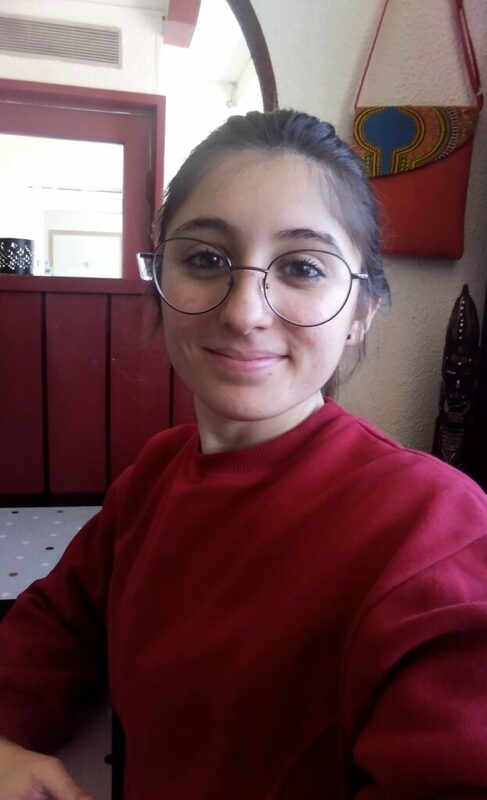 I´m a very positive person, I like dancing, singing with my friends, read some books (specially buddhism books) I´m a determined person and organized. I´m a responsible person, kind with all people. There are a amazing people here in IFALL, they make me feel like home. The most valuable thing for me in this experience is to learn about different cultures and different ways to do my job. I would like to have more skills or abilities in my area. I´m very excited about this opportunity, I feel motivated by this project and I hope I can help to all of you. I´m a little scary about the languange but i`m loooking forward to start helping you. place makes me feel like in my house, connected with the nature and also i always wanted to know the culture of this country and its history. So when I saw the option of this country I didn t have any doubt to choose it. Maybe this choose is related with the fact that I was born in Ukraine and this place makes me feel the same. IDEALS of life that help me to live better with myself and try to choose always the best option for me and people who are around me. I aspire to improve always with the consciusness that I am a person and I can do mistakes but those mistakes can help me in the future and I will can help to other people to not fall in the same mistake. I am an active person who loves sport and read books and I feel that with this two things I can understand better the world and understand better myself. Hey guys! 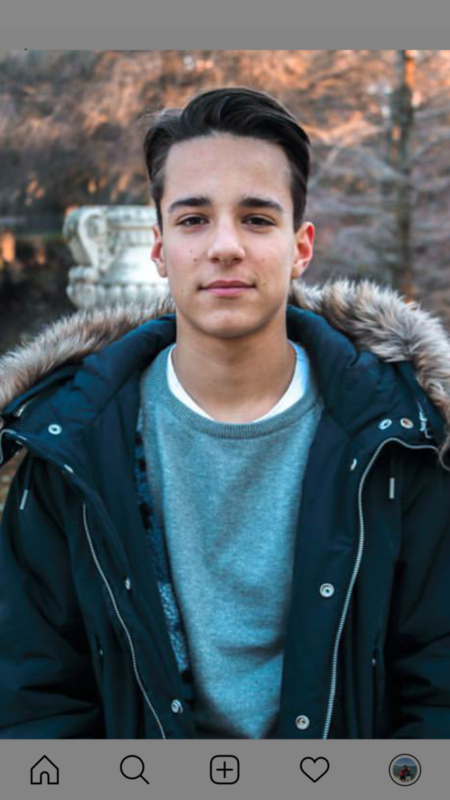 This is Santi from Spain, I would like to introduce myself to you in this post. I am 17 years old and I come from Valencia, Spain. I am here because of the Erasmus + program, I chose Sweden as my destination because I wanted to know more about this culture and this place. As I have seen so far, this is a beautiful place and people here are very kind and open. I consider myself very responsible and hard-working and I am sure I could help this organization with my skills and thrill. I have studied an Information Technology vocational training so I am sure I can help you with everything related to it. I do like other thinks too, such as sports, entrepreneurship and learning. I am very excited to start working here and being able of helping you in your mission. Hello my name is Aitor and i have 19 years old. 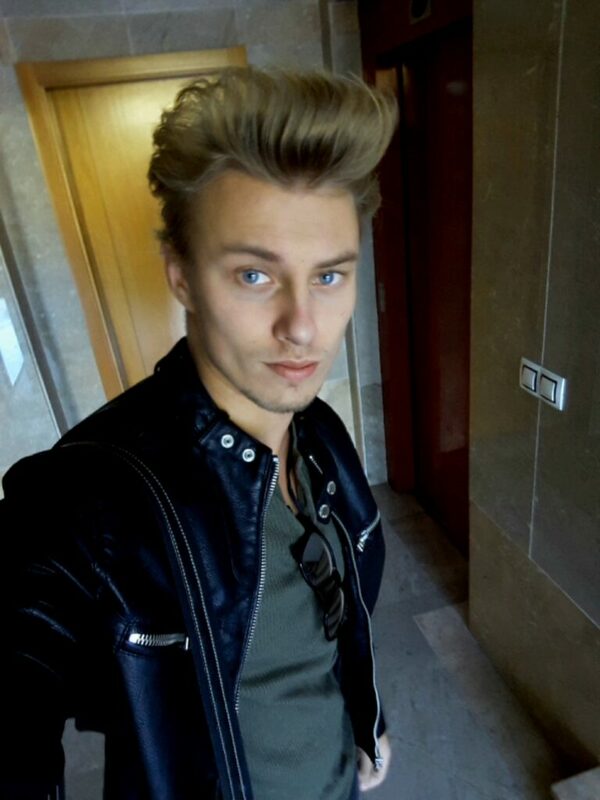 Im from Spain and more specifically in Valencia, i have come to Sweden for making a Erasmus Programme and this is my first time in this country. I am a person who likes the sport to improve the body, such as the gym or the calisthenics, especially this last, and I’ve been experimentation about 3 years and I’m really happy about what I’ve changed about when I started in this sport. 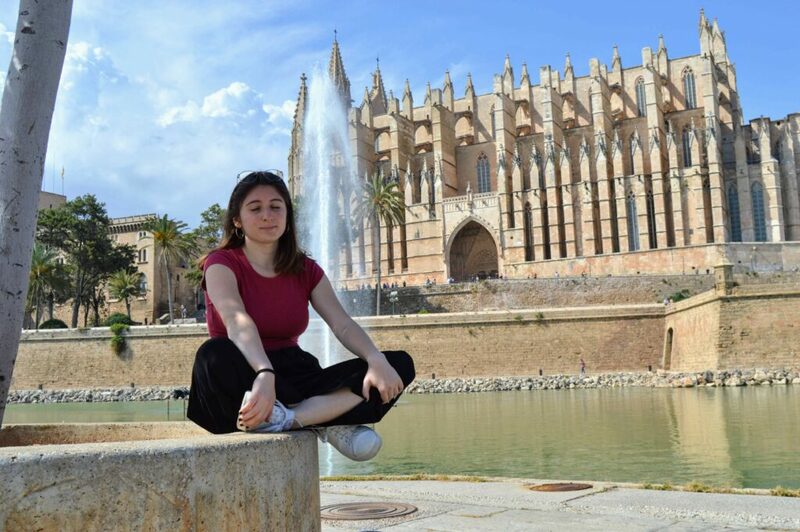 It is the first time that I go out of my country and its great, I think that I like more and more traveling, although i travel only 2 times in plane, the 2 times i going to Mallorca and its beatiful, they have a perfect weather in summer. I like Sweden, the nature and the air is pure, the weather is a little cold but its fine, Orkelljunga its a good town, it has everything to be a village, in this month i will here i’d like to visit more citys in Sweden, like Stockholm, AngelHolm, Helsingborg, all of this sites they have good spots for making photos, and they have a lots of things to do. 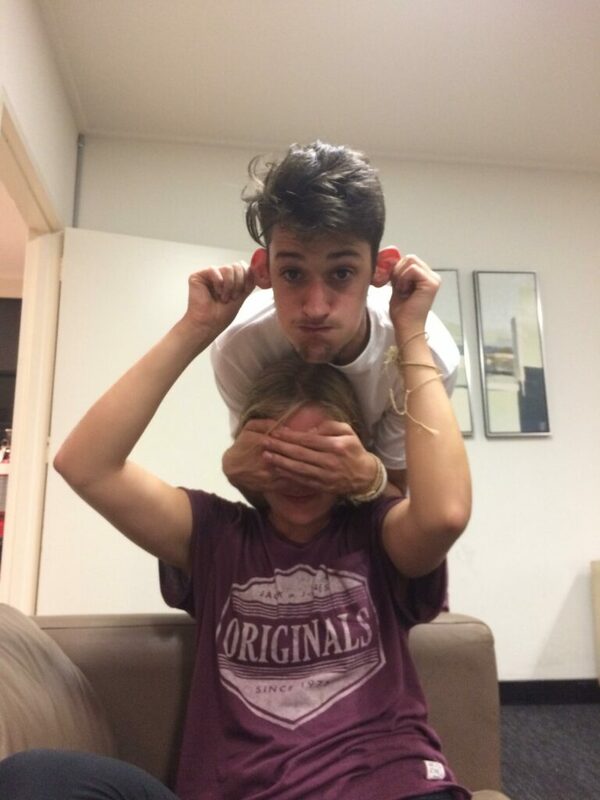 My Name is Adam Eleftheriou and i have come from Westside Circus, Melbourne, Australia. I am 21 years old and have been with the circus for almost 5 years. When i was younger i used to keep to myself because of things that used to happen to me, but when I joined with Westside circus it taught me how to express myself, learn in new ways, communicate with peers and people, and has given me lots of opportunities to grow as a person. Being with the circus has provided me with so many great opportunities, and the latest of which is coming here to Örkelljunga, Sweden to share my knowledge with everyone. This will be my third experience with groups from across the world and Erasmus Plus as i have been apart of a project called “National Treasures” which brang people from across the country to Melbourne for over a week, and one time took myself and others over to the UK. It was an opportunity for all of us to share what we knew and what we could do. It made us all much more aware that there are differences in the world and that it is awesome to feel accepted. 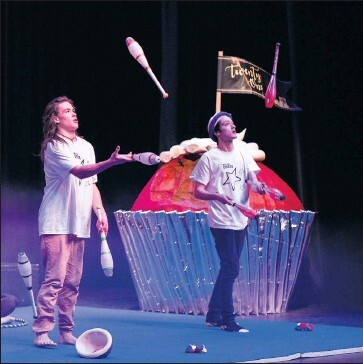 In Australia my job was being a full time Disability support worker, this involved understanding how people felt, and trying to make their life better in lots of different ways, this aim is also true for circus, it allows people to express themselves in a lot of different ways, circus facilitates, growth, learning, expression, trusting, and being able to communicate. Circus is an inclusive area that allows people no matter how experienced to feel included and gives everybody an equal opportunity. While I am here in Örkelljunga I will be hosting circus schools on sundays and invite everybody to come! The more the merrier! During the time of teaching I hope and aim to show as much Australian culture as I can, and to learn just as much about here. I also aim to help people of all ages learn and grow in a non-formal environment, everybody does everything in many different ways and I aim to help everybody I can reach. After all the circus IS about trying everything. Firstly, what is a Key Action 1 project? Key Action 1 organisations, such as IFALL, Faal Dernegi, Bauhaus Café CIC/Manor (Church of England Academy York), Associazione†PrimOlio and SOPRO can apply for funding to run mobility projects to enable organisations to offer structured study, work experience, job shadowing, volunteering, training and teaching opportunities to staff and learners. Beneficiaries are able to spend a period of time in another participating country gaining valuable experience of life, study and work with the aim of increasing the opportunities available to them in the future. What is the project about? 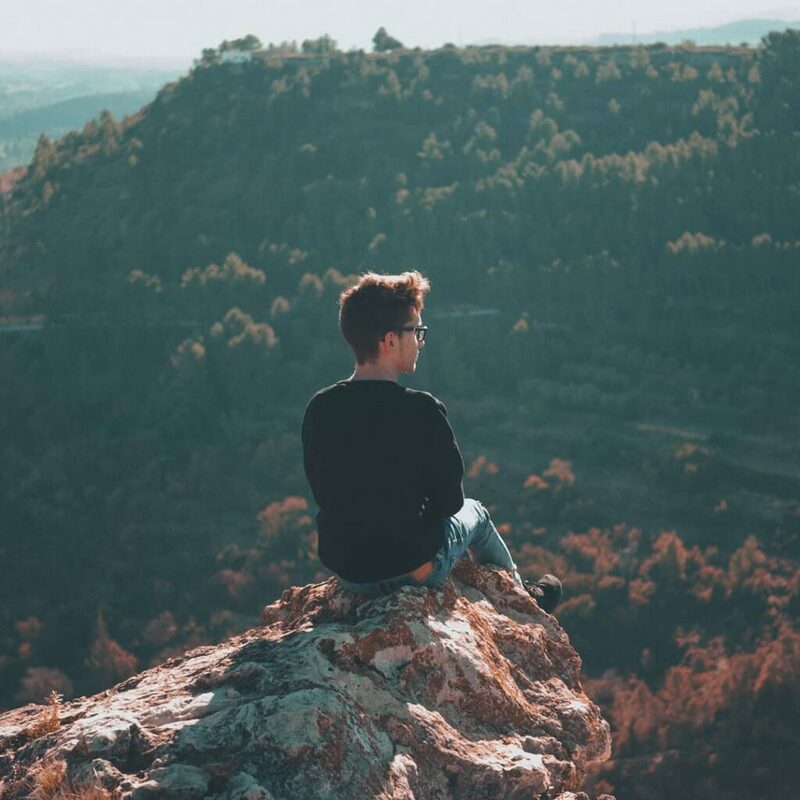 Young people today face some issues when it comes to accessing and connecting positively with nature. In today’s society there are many stresses which mean it can be difficult for engagement or participation. There is a lack of knowledge also whereby a significant number of young people don’t have the capacity or way of knowing how to survive or spend their time within nature. Objectives: – Increase awareness about environmental issues. – Increase practical knowledge in the nature. – Challenge young people to go out of their comfort zone. – To experience different natural environments; in the lake and in the forest. Who is involved? The project involves IFALL and then also 4 other organizations from UK, Turkey Italy and Portugal. 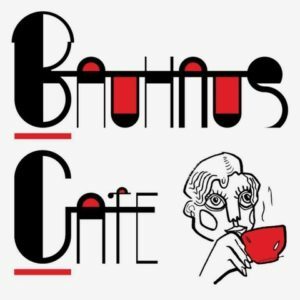 UK; Bauhaus Café CIC/ is community pop up Café and art collective in Kent. It is organised and delivered by a group of young creatives and entrepreneurial individuals of all disciplines, who work together to create high quality educational and artistic opportunities for the most vulnerable and excluded residents of the county. Manor (Church of England Academy York). Manor has a proud history, having served the young people of York since 1812. They are a Church of England academy and our Christian values guide, influence and underpin all that we do. They proudly strive to provide a 21st century education for our young people. ITALY; PrimOlio is active in the field of European Mobility promotes non-formal education projects with the aim of developing a set of skills (creativity, initiative taking, teamwork, communication, abilities to interpret and take decisions, etc) for future trainers, even orientated to research between European countries. – Training courses, seminars and youth exchanges orientated to arts through theatre and creative outlook. TURKEY; FAAL is situated in the Kecioren area which is one of the biggest district in Ankara. The organization has board and most of the board member are diverse background. Organization founded at the end of 2013. The other activities which Faal is conducting are: educational activities at local level and in network with local, European and International organisations, awareness raising activities, seminars and conferences, learning mobility, training courses and workshops oriented to capacity building of young people and exchange of good practice among professionals in different areas. PORTUGAL; SOPRO – Solidariedade e Promoção is a Non-Governmental Organization for Development, nonprofit- making, founded in 1996, situated in Barcelos, Portugal. The SOPRO’s mission is the “youth’s education on solidarity and promotion of cooperation projects for human development in the world”. As inspiration to future work, SOPRO has a vision: “to be recognized as a NGO consistent with its mission and values in its activities. To be a promoting actor of the participation of all and, in particular, of young people as witnesses and channel for the solidarity”. SOPRO develops its activities at local and international level. Advanced Planning Visit; The first meeting with take place in December 2018. During the APV, we will discuss and agree with all activities, check the activity place because the project will be based mostly on outdoor activities. In this occasion we will meet with the youth leaders and one youth with fewer opportunity in order to ensure they will be involved in the whole process. Youth Exchange; The youth exchange will take place 21st – 28th February 2019 There will be activities near to a canoeing site; Fishing, lighting a fire, survival exercises, camping skills, natural plants identification, orienteering activities, map reading skills, canoeing, safety in the water and signs to watch out for and boating. 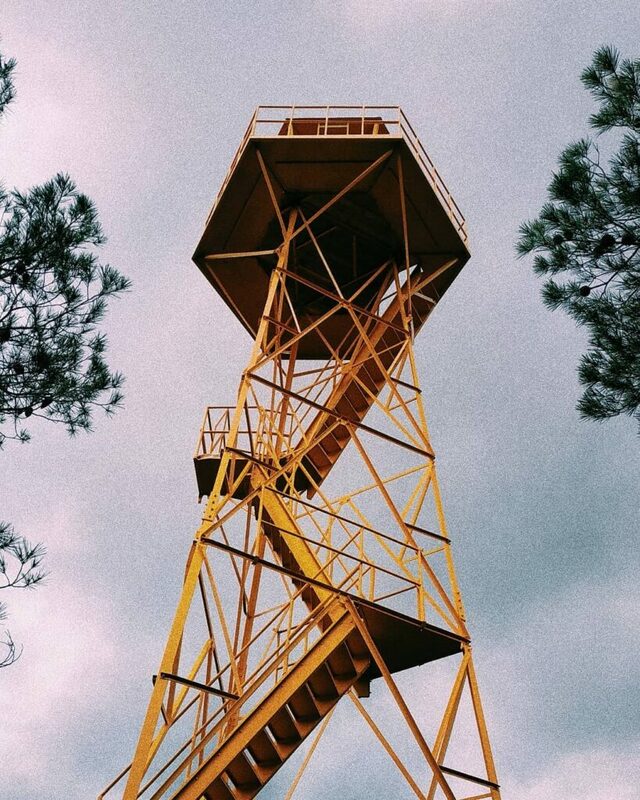 There will be also be activities in forest of Strandhem, exhibitions, walking and hiking, ‘Capture the Flag’ type activities- making use of the environment for protection and camouflage. 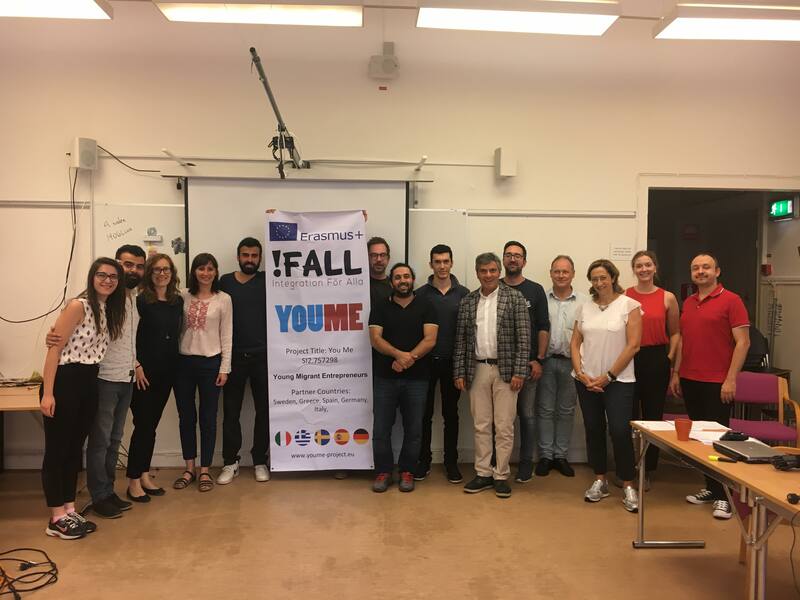 IFALL has organized the 3rd project meeting of YouMe in Helsingborg, Sweden after Madrid and Frankfurt. We had a quite effective meeting, clarified many topics. We are happy to show our appreciation for ABF Helsingborg to open their local to IFALL.